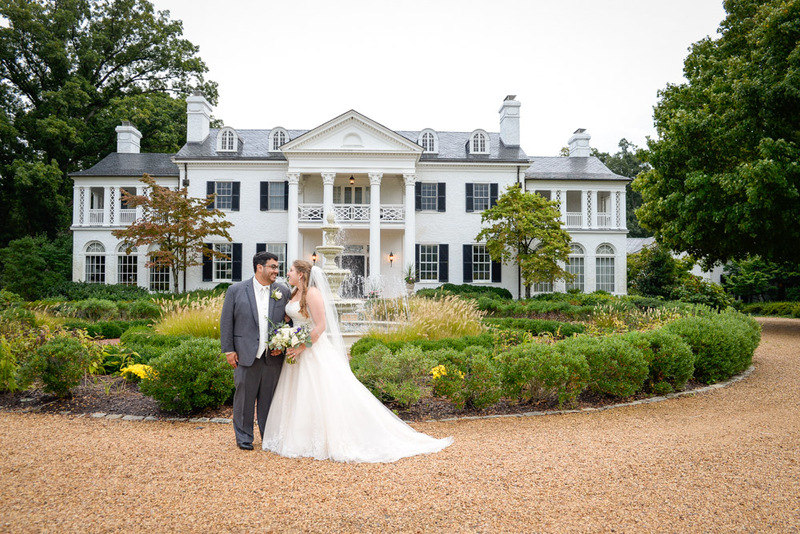 Jessica & Joshua’s relationship reads like one of those storybook fairy tales. Joshua knew after spending 4 hours in a park on a see saw talking to Jess about their favorite books that she was the one for him. 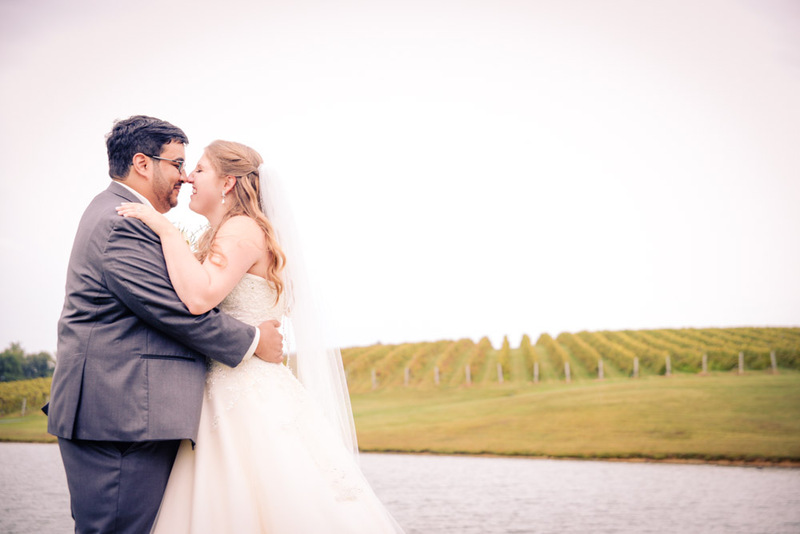 Their love for literature was the theme for their wedding held at Keswick Vineyards on Saturday, September 26th. For centerpieces they used some of their favorite leather bond books stacked three high with a candle on top and a floral arrangement to adore each table. 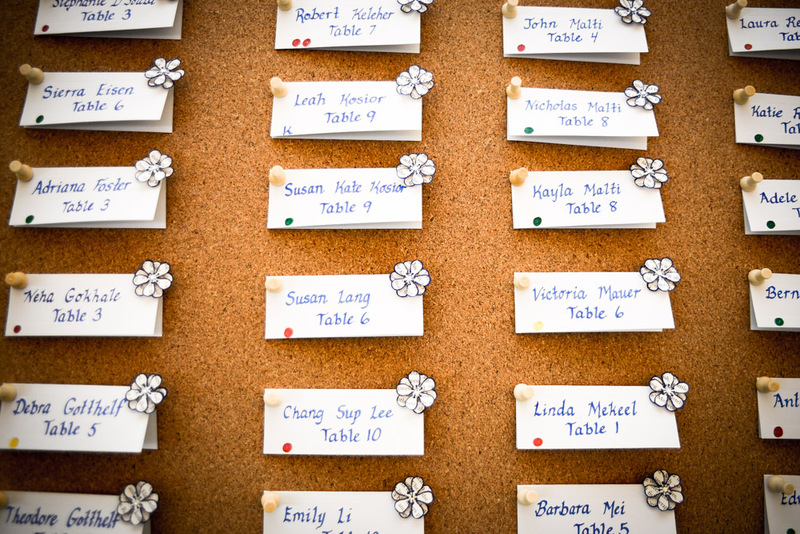 They also had book ends with numbers to use as their table numbers. Instead of a guest sign in book they had a framed black & white print of stacked books that each guest would sign. They also had a display of books as party favors for their guests to take with personalized book marks that Jess had made. Jessica & Joshua are one of those couples that you just love being around. Their smiles and laughter is infectious to all. Even when we were down by the pond for some photos I swear I heard our swans copying the laughter they could hear from these two. 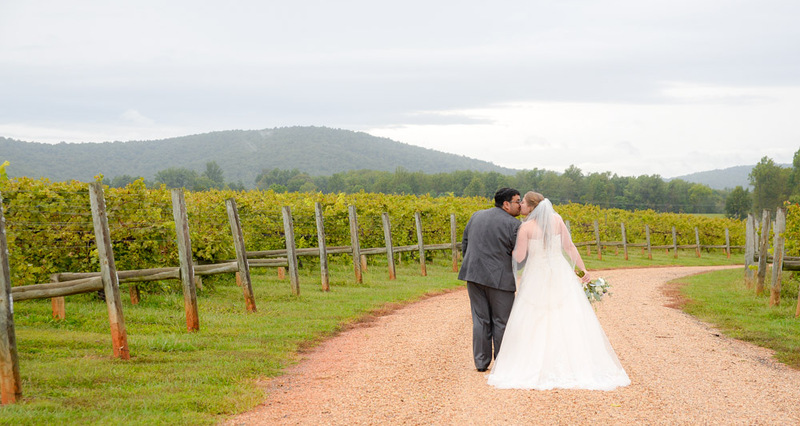 Even though Mother Nature didn’t provide the best of weather these two didn’t mind. 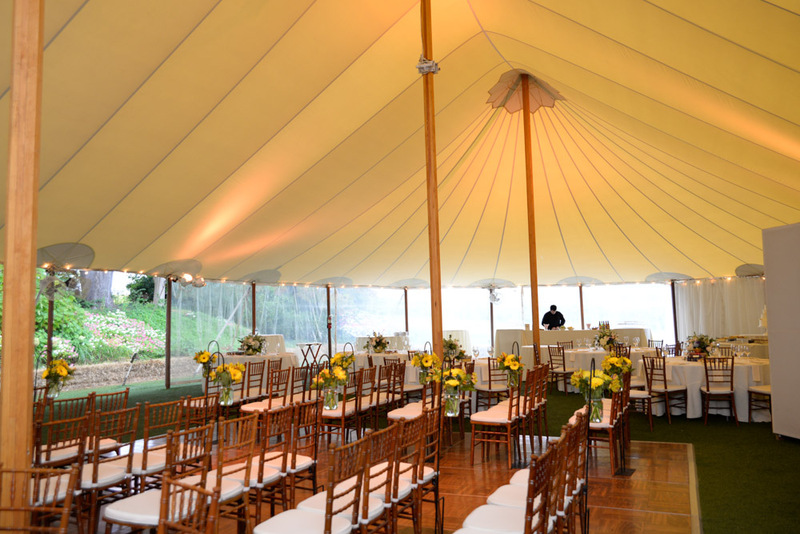 We went with our rain plan and held the ceremony under the Sperry tent. You will see from my photos that it is just beautiful. Harvest Moon was the caterer and served a plated dinner for all the guest and had made some miniature desserts that were so yummy! Special thanks to all the vendors for making this fairy tale wedding come true for these two: Caterer Harvest Moon, Day of Coordinator Keswick Vineyards, Officiant Reverend Gay Lee Einstein, Wedding Cake by Rachel, DJ TD Layman of Sound Enforcement, Photographer Tyler Corvin, Musicians for Ceremony Charlottesville String Quartet, Hair & Make-up by Studio FBJ, Florist Flowers by Natalie and Albemarle Limousine for transportation.